Improve the appearance of the flooring in your home or business with the wide range of laminate flooring options from our flooring superstore. When you need assistance purchasing and installing laminate floors, we can help you. One visit to our spacious showroom is all it takes to discover the best type of laminate floor that perfectly matches the décor in your home, office, or store. Customers know that they can always place their trust in the experienced and friendly staff at our store when they need laminate flooring installation. We take the stress and headache away from installing your own new flooring. At the same time, we are here if you have questions about any of our affordable, durable, and beautiful laminate flooring options. Picking the right color, pattern, style, and texture of laminate floors for your home, apartment, office, or store can a difficult task. That’s because there are so many options available. After browsing our displays and finding samples you like, let one of our consultants help you narrow down your choices. We work with you to come up with the best possible match for your home or business décor. Why waste time worrying about the cost and labor involved in laminate flooring installation? Instead, allow our professionals to do all the work for you at an affordable price. We have the years of experience and specialized tools necessary to make the installation a snap. Once you have made your purchase from our huge variety of laminate flooring options, schedule an appointment with our installation team right away. Because we know that your time is valuable, we perform quick and efficient commercial and residential installation services. We want to minimize any interruptions in your daily routine or business operations. Invite us to your home or business today, and we will install your beautiful new flooring in no time. 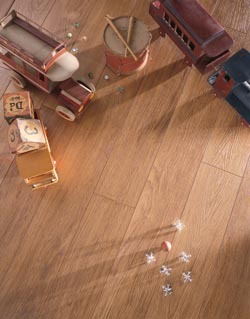 Contact us today when you want more information about our laminate flooring options. We install quality laminate floors in homes and businesses throughout Vernon, South Windsor, Ellington, Tolland, and Manchester, Connecticut, as well as surrounding areas.